Alan Colmes died today. That may not mean much to many but it means a whole lot to those who knew him and thought they knew him. Mr. Colmes was a gentleman. There, I said it. Gentleman. 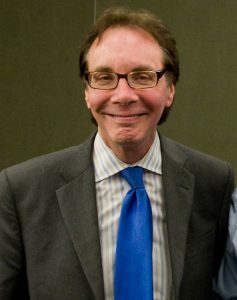 In a time when we no longer value the value of gentleness or manliness, Alan Colmes appeared to me to be both. I never met Alan Colmes but I knew him. I watched him on Hannity and Colmes and I listened to him on radio and television interviews. While it wasn’t that long ago, it was an eternity in the cultural life of America. Alan Colmes never seemed to waver in his beliefs. He was in this regard a true “man”. And he never seemed to waver in his tolerance and compassion when it came to debating. In this regard, he was “gentle”. His attitude was from a time when men (and women) debated and then shared a meal or beverage. While differences were extreme, the value of commonness was understood. We’re all here for a short time and it is best if we get along. Debate the issues, stand firm in your conviction, but never, ever demean those you disagree with. This was Alan Colmes to me. And for this, I feel extreme loss today. Rest in peace my friend I never knew, and yet knew all too well. You left an impression on me and many, many more. The world is a better place because Alan Colmes visited here.